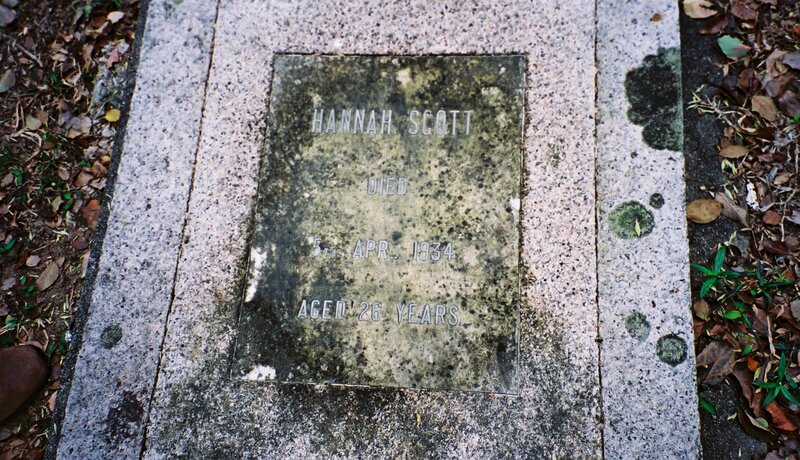 Inscription (Eng) HANNAH SCOTT DIED 5TH. APR. 1934 AGED 26 YEARS. 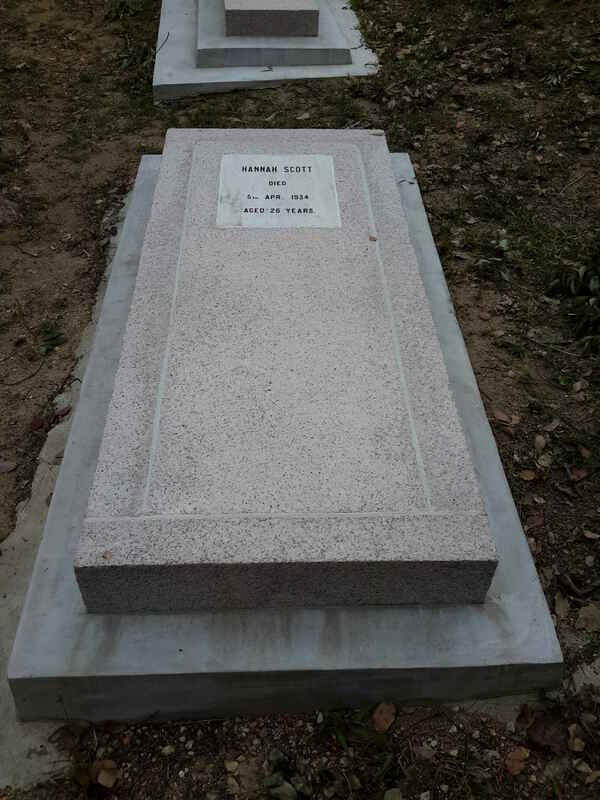 Historical She had arrived in HK in 1933 and was working as a hairdresser and manicurist at Alexandre Beauty Parlour at the time of her death. She had gone out for dinner with a male friend who picked her up in a borrowed motorcycle with a sidecar, where she was seated. As he was turning a corner, a tire blew and the bike flipped over. He survived.